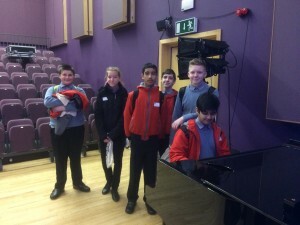 Six students from Year 9 visited Leeds College of Music on Thursday. They had a tour of the College led by a Student Ambassador and they got to see all aspects of the College’s work. The students got to see the Mac Labs, Recording Studios and the Keyboard Lab as well as all the performance spaces. We were even serenaded by our own Sahil on a grand piano! 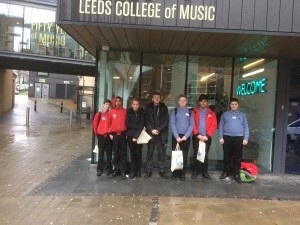 Our thanks go to Leeds College of Music for allowing us to visit and we look forward to working with them in the future and visiting them again.